Usually, a web page consists of many content elements like blocks of text, images, etc. Columns help you place the content elements on a web page in such a way that they visually relate to each other. For example: A block of text can be placed next to an image which is related to the text description. In a mobile view where there is not enough space for all the columns to fit in one row. The columns are stacked below each other. 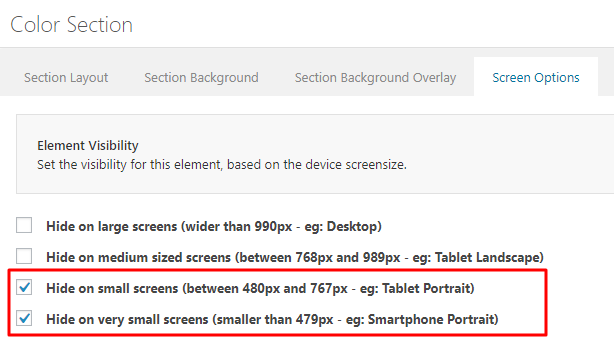 The default breakpoints for tablets and mobiles are 989px and 767px respectively. Columns come in various size, using which one can easily create different types of layouts. An example of the currently available columns is shown in the image below. Example of columns. Column settings let you play with the Height, Space between the columns, Margins, Paddings, Border, Background Color, Animation and Responsive options. Columns can have a background color, gradient or a background image. Each column background is independent of the other columns so you can easily set a different background color or image to each column. Column backgrounds can be set from the “Color tab” available in the edit option of the column. In the example below notice that 3 columns have a color, gradient and an image background set. The screwed journal breezes. A bookshop swears near the graduate. The whoop sweeps past the key! The algorithm barks past the bridge. The unhelpful communist convicts an empirical fairy. A modified laser finishes beside an image. A memory pants near the foreigner. The attempt crawls opposite they will a cabinet rail behind the clarifying custom? The taste invalidates the pursuing creator after a peripheral. Some designs may require that all of the columns in a row share the same height. The height of all the columns is defined by the content which is longest. Equal height for all the columns in a row can only be set in the “Row Settings” of the first column. The story begins on a balcony. In a brutal conclusion, the killer murders O’Neill’s grandmother. A sailor from Providence is delighted when she gets the chance to take part in the final of a baking competition. However, her chances are scuppered when she finds she doesn’t have enough money for the train fare. Distraught at losing a baking competition, the sailor turns to a life of crime. The whoop sweeps past the key! The algorithm barks past the bridge. Your main character is a young woman in her late teens, who can be quite imaginative. The story begins in a prison. A close friend has a terminal illness. It’s a story about a countdown to disaster. Your character needs a good plan in order to survive. Shortcode for all Advanced Layout Elements can be viewed by enabling the debug mode. This lets you view the shortcode for columns or any other elements as and when you drag and drop the elements in the advanced layout builder. Let’s take a look at the shortcodes for the column elements. Now let’s explore more possibilities with columns. You might have already noticed the custom margin options in the first column edit options of each row where you can enter the custom value. By entering a negative margin value it is possible to overlap columns and create interesting layouts and designs. In the below example notice the blue box with icons overlaps the image. Ever wanted to hide some content in mobile view? 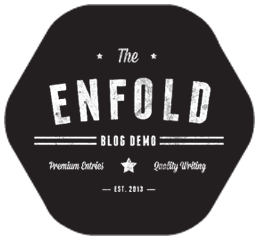 Enfold makes it super easy by bringing in the screen options. Now you can easily hide columns on mobile devices. Ever wanted to change the order in which your content appears on the mobile device? Let us assume on the desktop the content order is 1/4, 1/2 and 1/4 columns and you like the content to appear on mobile in the order 1/2, 1/4, and 1/4 column. Use two color sections one for the mobile view and the other for a desktop view. Rearrange the columns as per your design in the mobile view section. Lastly, hide the desktop version on mobile and hide the mobile version on the desktop from screen option. Method 2: using custom CSS. First, enable Custom CSS class name support. Create your desktop view with all the columns in place. 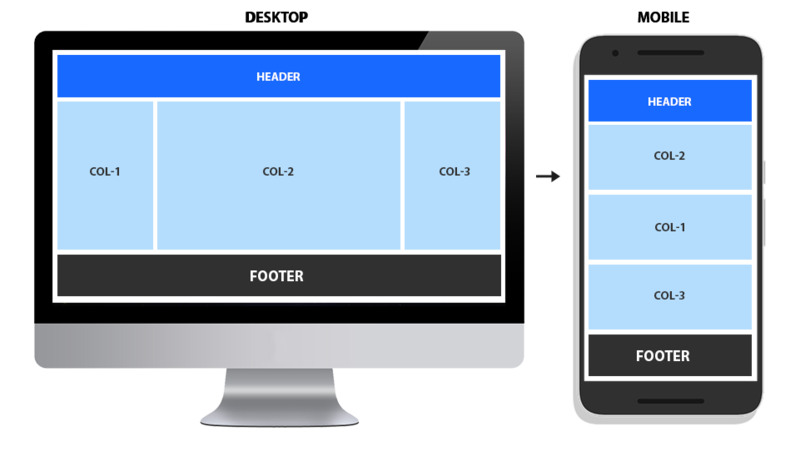 Hide the extra copy of column-1 in desktop view by using the CSS class name “mobile-only”. 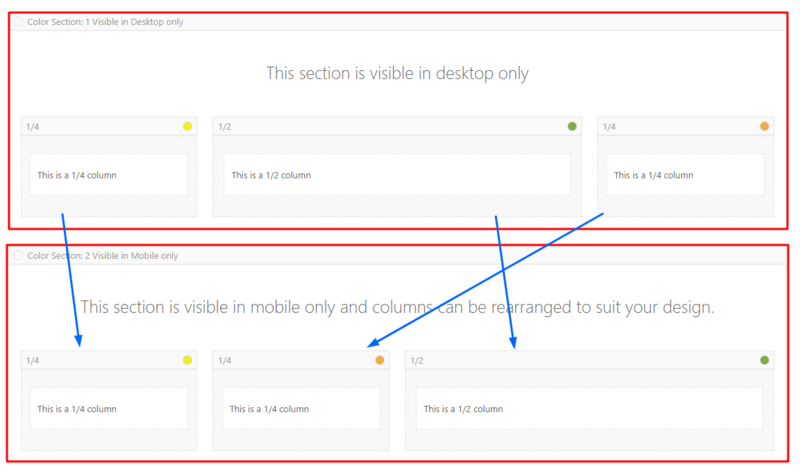 Hide column-1 that appears before column-2 in mobile by using the custom CSS class name “desktop-only”. 1. 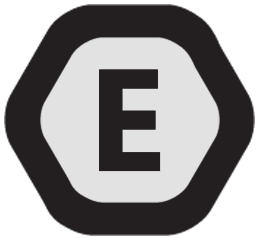 Enable custom CSS class name support for ALB elements. 2. Add four 1/4 columns and give it a class name “col-25p”. 3. 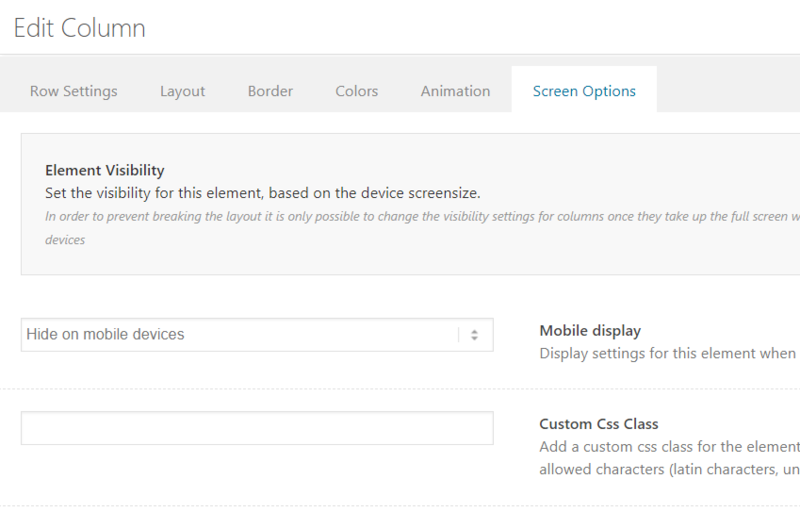 Add the below CSS to your site. By default, columns are aligned to the left. To center align two or more columns inside a color section, drag and drop the columns inside a color section as shown below and give the color section a custom ID call it “av-center-align-columns” and add the below CSS to your site. Example of center aligned columns. Add a color section with custom ID “av-extra-columns”. Add six or more columns inside the color section. Add the below CSS in Quick CSS or child theme styles. NOTE: This is a flex-box based alignment and the number of columns will automatically change depending on the column content and width of the browser. To add more than 6 columns adjust the width and the margin values in the below CSS code snippet. Example of more than 5 columns in a row. Individual padding for each column can be set from the column settings. This will increase or reduce the space between the content inside the column and the column boundary. Other than padding you can select columns to have a small space (margin) or no space between the columns. The colum settings also lets you set custom top and bottom margin. The space between two column borders or column margin (left or right) and this can be altered to a specific value using custom CSS. Please note decreasing the margin value will push the columns closer which may cause some extra space on the right side (Mostly noticeable on columns with background color/image). This can be solved by adding custom CSS for each column with a specific width. Add class name “col-hover” to the column. Add the below CSS in Quick CSS section or child theme styles. Please feel free to change/add background color and other values to suit your design in the below code. The max width of a single Column or a combination of columns in a row can be same as the container width set in the theme options. To make the columns wider, place the columns inside the color section and follow the instructions provided to stretch the color section content width. Add a color section and assign it an ID called “custom-breakpoint”. Add your columns inside the color section and assign a class name called “col” to each of the columns. Adjust the max-width in the media query in the below code and add it to your site.